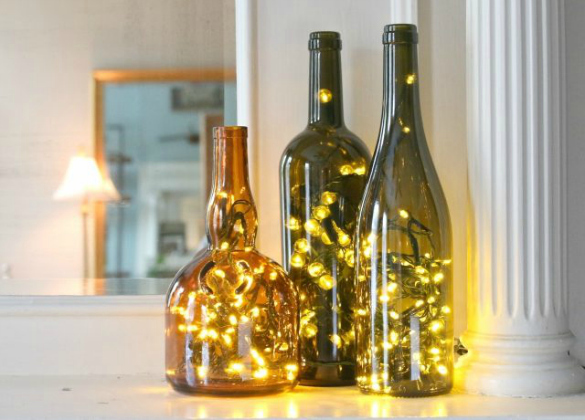 In our most recent project collaboration with eHow, we transformed a handful of glass bottles into a set of sparkling holiday decorations. 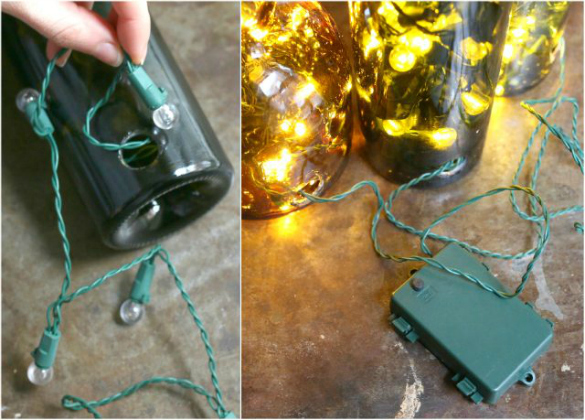 These festive lights are a such a fun way to recycle different bottles from a special occasion or trip, and make a budget-friendly gift idea as the holidays draw near. 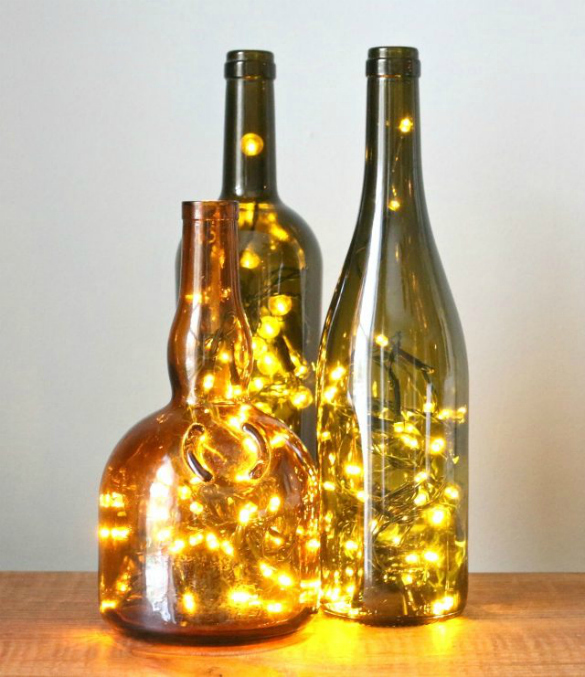 The trick to making these wine bottle lights is by drilling a large enough hole in the base of the bottle to slip the string lights inside. LED lights will stay cool, without worry of heating the glass and using a battery pack light string allows for placing the bottles anywhere you like, regardless of nearby access to an electrical outlet. With so many new light string options on the market, mix and match the bulb sizes for a varied look and swap in different colors throughout the year for a fresh approach — orange lights for Halloween would work quite well, no? 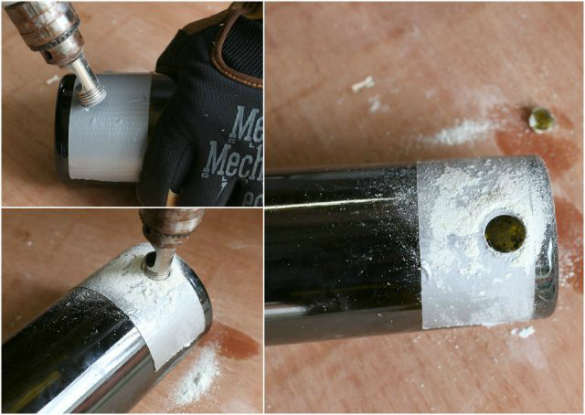 Head on over to eHow for the full tutorial with step by step instructions for making a set of these sparkling wine glass lights. Отличная идея, беру на заметку, Спасибо!